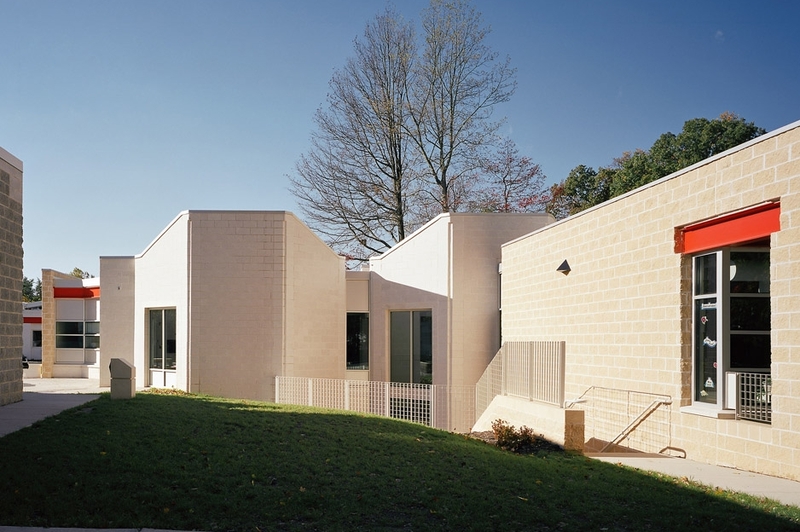 The middle school building was the second of three projects that was built in Phase Three for Green Acres School. It provides ten classrooms of 16 students each for grade 5 and 6, with a “black box" theater and photography studio in the lower level. 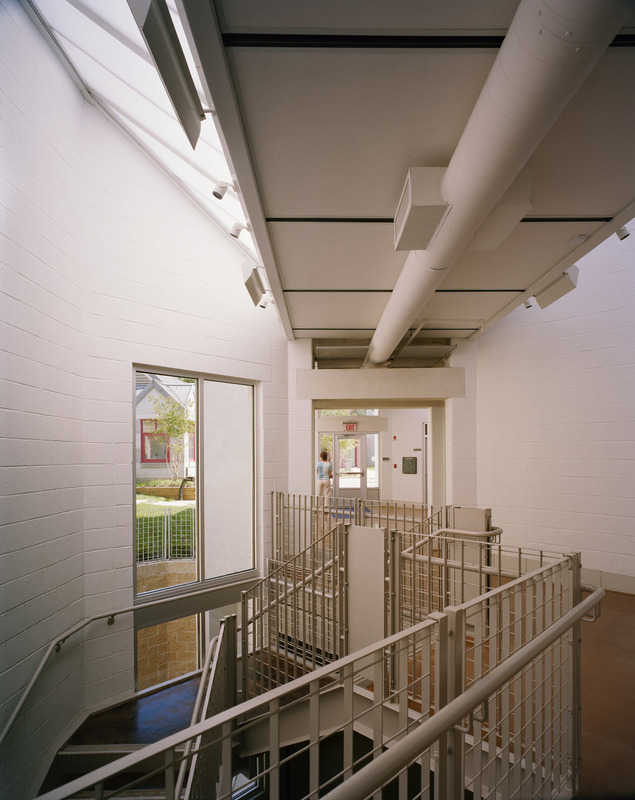 The central corridor is organized into a series of five octagons, with strong natural light penetrating from above, relieving the tedium of long undifferentiated rooms and suggesting a series of “places” that have different functions encouraging social interaction among the students during the day.